^ Murdock, Ian A. (August 16, 1993). "New release under development; suggestions requested". Newsgroup: comp.os.linux.development. Usenet: [email protected]. Retrieved June 13, 2012. ^ Stallman, Richard (April 28, 1996). "The FSF is no longer sponsoring Debian". 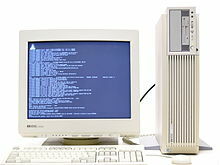 Newsgroup: comp.os.linux.misc. Usenet: [email protected]. Retrieved August 22, 2014. ^ Grobman, Igor (July 14, 1998). "[email protected] is up!". debian-hurd (Mailing list). 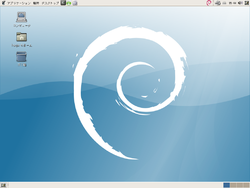 Debian. Retrieved August 2, 2014.